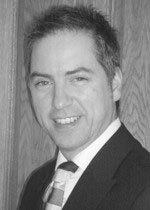 Mr Kelly is a Consultant ENT surgeon, he specialises in ear and sinus surgery and treats both adults and children. He works at Leeds General Infirmary and Nuffield Health Leeds Hospital. He does not see NHS patients in the private sector. Member of the council of the British Society of Otology (BSO, part of ENTUK) he runs the BSO balance course. Mr Kelly has advanced minimally invasive sinus surgery by leading on balloon sinuplasty in Yorkshire. He has achieved funding for the ENT department in Leeds Teaching Hospitals (now close to £200,000 in charity grants in the last 3 years) for the purchase of state of the art equipment. Mr Kelly has is one of few surgeons in the UK to carry out totally endoscopic ear surgery (TEES). He has a commitment to teaching and clinical research and contributes to medical education, training and assessment in his college, the Royal College of Surgeons of Edinburgh and the University of Leeds. He has a management role as clinical director of ENT, Maxillofacial Surgery and Ophthalmology in the Leeds Teaching Hospitals NHS Trust. He also has a Masters of Education (Clinical Education) and a higher degree from the University of Edinburgh (MD). Pathology research project with Dr GBM Lindop, Department of Pathology, Glasgow University, sponsored by the Scottish Home and Health Department. This was the first study to show the morphology of the mammalian peripolar cell. I became familiar with the use of both scanning and transmission electron microscopy techniques. The project was selected as Glasgow University’s entry in the Cappell Award. A prospective study ‘A quantitative study on the differences in perceptions of training requirements between otolaryngology surgical trainers and trainees’. This work formed the basis of my 12000 word thesis in my Masters of Education degree at the University of Leeds. I passed this in October 2007 (with merit). This work was presented to the North of England Otolaryngology Society Spring Meeting in March 2008. Mr Gerard Kelly does not hold a share or financial interest in this hospital, another Nuffield Health hospital or the company. Mr Gerard Kelly does not have a share or financial interest in equipment used at this hospital or another Nuffield Health hospital. Mr Gerard Kelly does not hold any paid advisory role(s) at this hospital or on behalf of Nuffield Health.